About Project: This is an old project that we designed in the year 2007. 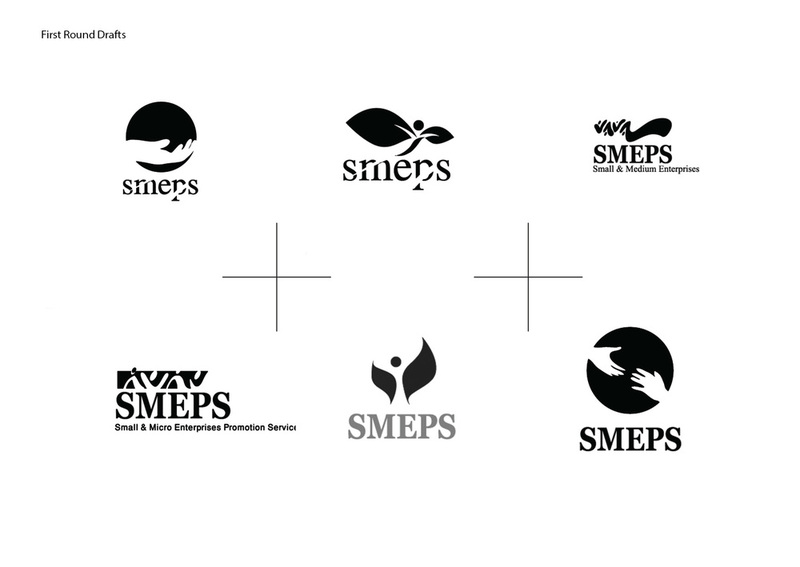 The design projects aimed to come bring new visual image for the development agency (Smeps). The client asked for an iconic logo that catch people eyes and to be recognised by agency clients. The agency work with very wide range of people like entrepreneurs, small business, medium and large business, professionals, youth and farmers. A part of the agency target group are illiterate people and those people need to be able to recognise the agency visual image. They also want the final identity to be linked to Yemen. We started by doing some sketches and drafts which could reflect development concept into symbolic logo. The final result logo was mix of 3 main concepts, the human whom is the center of Smpes projects process, the leaves which simply reflect longterm development and the Qamraia which is very famous window style in Yemen. It was really interesting design journey and hope you like it. About Client: Small Micro Enterprises Promotion Service Agency (SMEPS) was established to promote services to small and micro enterprises. SMEPS is be responsible for directing and coordinating activities to provide improved non-financial services for SMEs by planning, directing, coordinating and monitoring several programs with partner organizations. The programs are aimed at stimulating growth and diversity within the SME sector. Smeps is well known development local agency in Yemen since its the implementation partner with many international organisations like ILO, UNDP and WordBank.